Free Aminos by Allergy Research Group was recommended to me by an M.D., who publishes a monthly heath newsletter for urine incontinence. It worked for me! I find most Allergy Research Products to be of high quality and formulated to be safer for sensitive individuals. The price od Free Aminos recently went up (was under $20 before) but PureFormulas still has the best deal around. 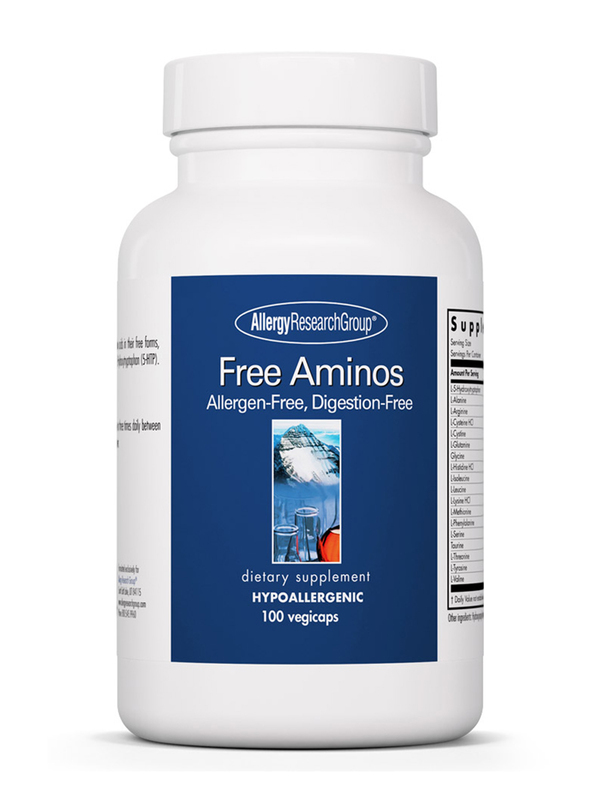 If you’re looking for a convenient amino acid supplement‚ Allergy Research Group’s Free Aminos may be right for you. This hypoallergenic supplement is a good source of easily absorbed free-form amino acids‚ which are organic compounds that form proteins. Amino acids are important because they may work to break down food while promoting tissue growth and repair. 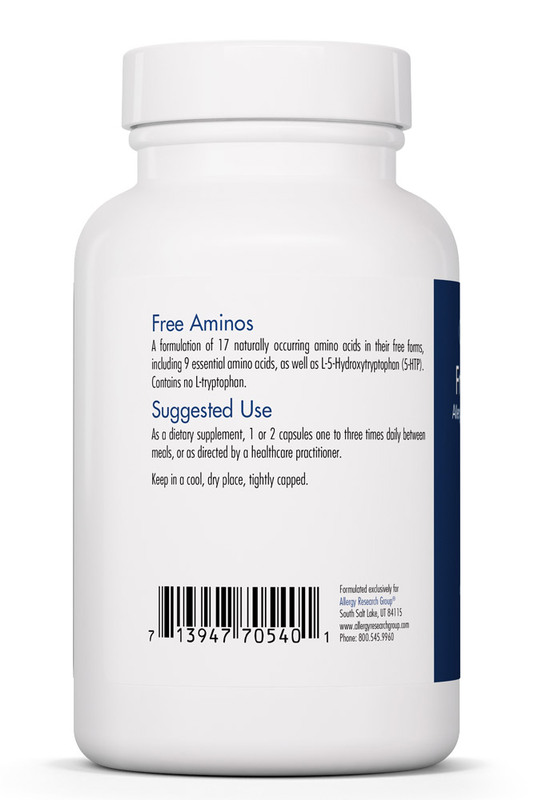 Every capsule of Free Aminos contains 17 naturally occurring amino acids‚ including nine essential amino acids. Since your body can’t produce essential amino acids such as L-methionine‚ L-lysine‚ and L-phenylalanine‚ you have to get them from food or supplements. 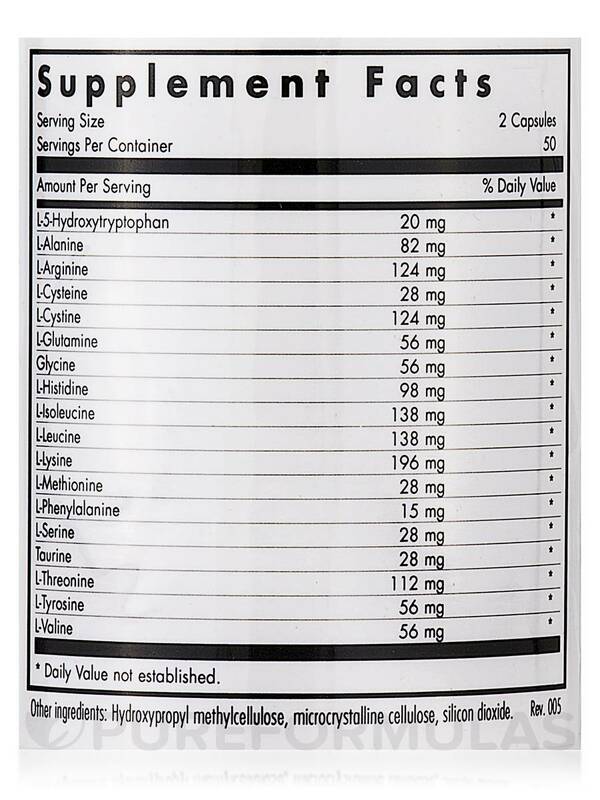 Unlike many other amino acid supplements‚ Free Aminos doesn’t contain L-tryptophan. 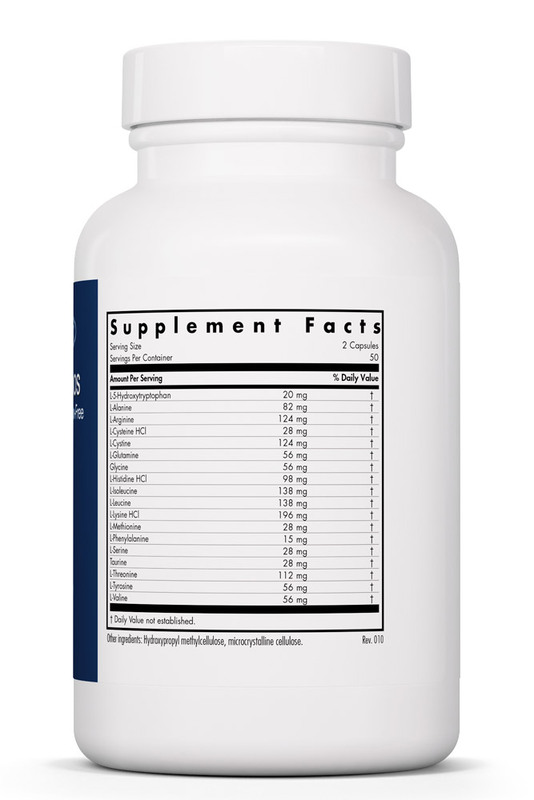 Instead‚ this product provides L-5-hydroxytryptophan (5-HTP)‚ which is a chemical byproduct of L-tryptophan and direct precursor of serotonin that may cross the blood-brain barrier more easily than L-tryptophan itself. Take one or two capsules one to three times daily between meals. Depending on your dosage‚ each 100-capsule bottle of Free Aminos by Allergy Research Group should last for about two weeks to three months. Other ingredients: Hydroxypropyl methylcellulose‚ cellulose‚ silicon dioxide. Suggested use: As a dietary supplement‚ 1 or 2 capsules one to three times daily between meals‚ or as directed by a healthcare practitioner. 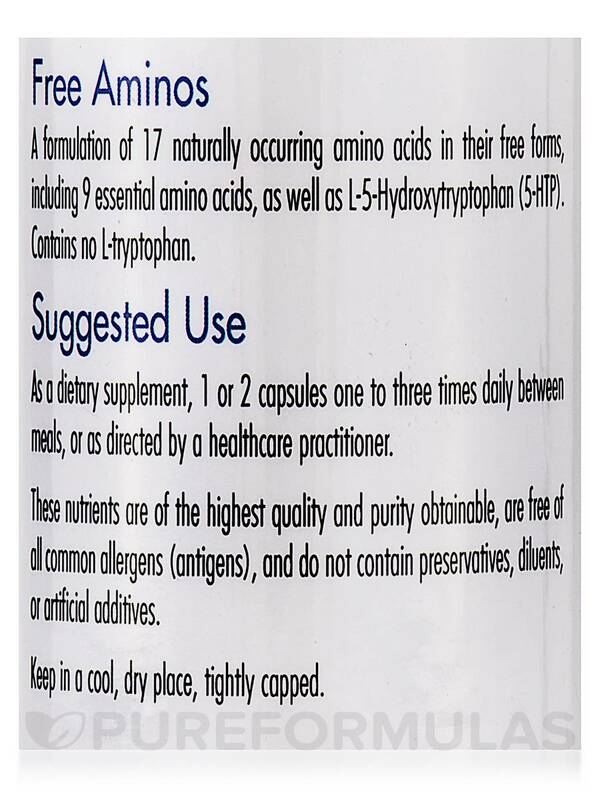 Free Aminos is an expensive supplement offered at an excellent price through Pureformulas.com. Free Aminos Recommended by my naturopath.